There are a number of different ways that packaging has changed over the last 10 years, and many of the reasons behind the change have to do with sustainability and green living. While that applies to a large number of industries, the automotive industry has been slower to adopt these adjustments. Now, though, the industry is beginning to focus more on the environment in a number of ways. Part of this change is coming from additional options that are available for a fair price, and part is coming from what consumers are demanding of the companies they purchase goods from. Generally, the chosen spot for companies is where fair price meets what makes consumers happy. With changes to automotive packaging options that have come about in recent years, that spot is now a moving target that is giving businesses and consumers many more options and opportunities than they had in the past. That’s good news for companies because it can help them produce goods and get them packaged for a good price, and it’s good news for individuals who are beginning to expect more from the companies they purchase products from for their vehicles. In the automotive industry, there are many different types of products and parts. There are also a number of options for packaging, shipping, and other logistical issues. As Bill Hoffman of Hoffman Systems puts it, “If you don’t help create the solution you have to live with it.” Because automotive companies don’t want to get left behind, more of them are choosing to be part of the solution. That means they are becoming more open about their automotive packaging needs, and how those needs can be met in a way that saves money and also protects the environment from further harm. There are two types of consumers who choose automotive parts: individuals who are working on their own vehicles, and businesses that work on customer’s vehicles. 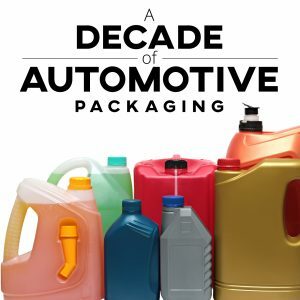 Catering to just one or the other used to be common, but packaging trends and other changes in the automotive industry have made it easier and more common for automotive part manufacturers to create and package items that can go to dealers and individuals equally as easily. With that in mind, companies that make parts for automotive use may want to focus carefully on the overall packaging and design they are creating to please a wider audience. A 2014 Tetra Pak survey of consumers in 25 countries found that concern over the environment is higher now than ever in the last decade. Global climate change was the biggest issue, with 87% of consumers expressing “somewhat serious” concerns. Pollution was also a serious worry, as was guilt over being personally unkind to the environment in some way. Now that the automotive industry has seen the way in which its product packaging is affecting the environment, the global automotive packaging trends have begun to shift toward what consumers want and need the most. The idea of choosing reusable packaging can strongly affect how a company feels about its products, and how consumers feel about what the company has to offer. There will be plenty of consumers who don’t care what kind of packaging is used, but there will also be plenty of customers who do care. In short, your automotive company probably won’t see customers walking away because you have sustainable packaging. But you might very well see customers walking away because you don’t have that kind of concern for the environment. Trends are changing, and automotive companies must follow them to stay relevant. In a 2014 IPSOS/Tetra Pak survey of 20 countries, 60% of people surveyed stated that they wished their lives were more simple. With the right custom packaging company, that can more easily be possible. While cars are becoming more and more computerized and complex, packaging solutions for automotive parts don’t have to follow along. Being able to choose from custom options like single-use pouches, single-use wipes, bottles, plastic squeeze tubes, cans, blister cards, kits, cartridges, and jars can mean that your company can select the type of packaging that is truly right for your consumers. Customers look for packaging with personality, but they also look for packaging that they can open and dispose of easily. If your packaging is hard to open, isn’t recyclable, or there are other problems with it, consumers may switch to a competing brand that has already followed the automotive packaging trends over the last decade. Their packaging could be easier to open, and it’s also going to be more environmentally friendly overall. That’s good news for any consumer who is worried about the planet or who may have trouble opening more standard packaging for their automotive parts. To find out more about how SLC Custom Packaging can help your automotive business, reach out today and start getting the information you need to succeed. With custom packaging options for the automotive industry, SLC is a leader in ensuring that you get the right products, packaged the right way, every time. You won’t have to worry about your automotive packaging needs anymore because you can get those needs met in one place and with high-quality results.